Run the lime wedge around the rim of a glass. 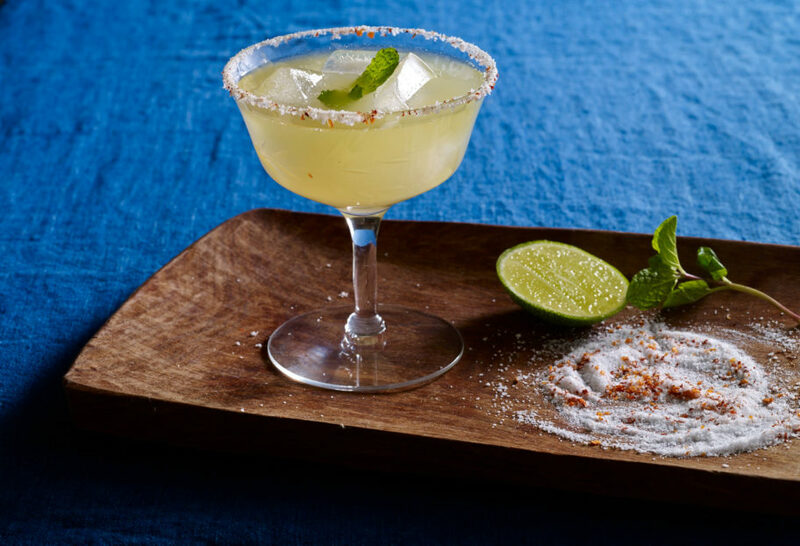 Place the sugar, chile powder and salt on a small plate and dip the rim of the glass in the salt to coat. Add the ice cubes to the glass, then pour in the mezcal, grapefruit soda and pineapple juice, stir gently. Tear the mint leaves into several pieces and drop them into the glass, stirring gently so they release their flavor into the drink.